Both Valve and Ubisoft have run afoul of consumer laws in France, based on their failure to meet France’s laws on refunds on both the Steam and uPlay digital storefronts. The result of this failure is that both companies now have to pay a fine, as well as show a non-compliance warning within the country. These fines amount to a total of €327,000. Valve has been ordered to pay €167,000 with Ubisoft paying €180,000. 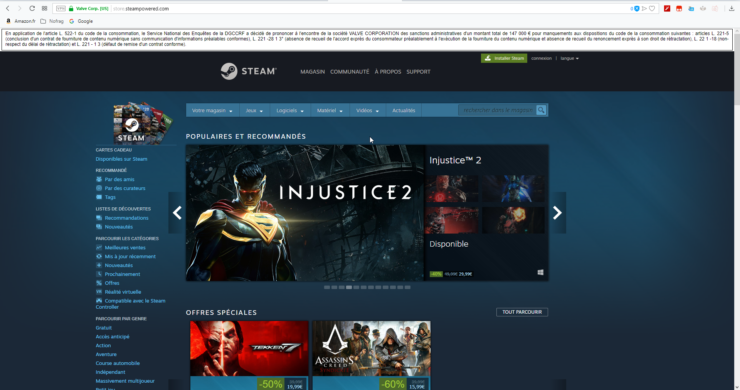 Posted by French games site NoFrag, it explains that both companies have been fined due to their non-compliance with L221-18 of the French Consumer Code. This specifically states that French consumers are to be given 14 days to back out of a purchase. Ubisoft, with uPlay, do not offer refunds at all. Valve, with Steam, is a little more complicated in that you can refund a title – provided you have played it less than two hours. 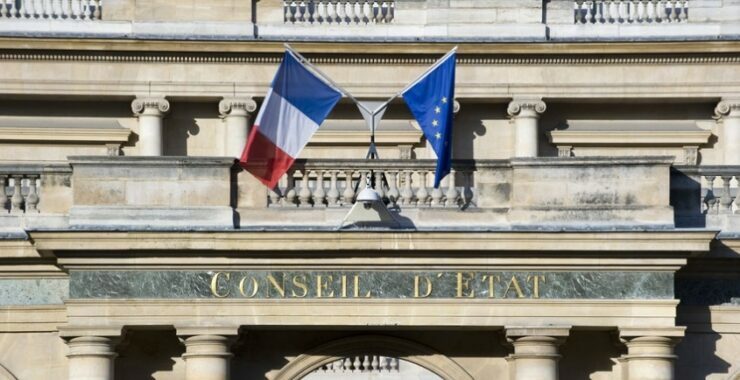 Pursuant to Article L. 522-1 of the French Consumer Code, the National Investigation Service of the DGCCRF decided to impose administrative penalties on the company VALVE CORPORATION totaling € 147,000. for breach of the following provisions of the Consumer Code: Articles L. 221-5 (conclusion of a contract for the supply of digital content without communication of prior information compliant), L. 221 -28 1 3 ° (absence of a collection of the express agreement of the consumer prior to the execution of the supply of the digital content and absence of collection of the express waiver to his right of retraction), L. 22 1 -18 (non-respect of the withdrawal period) and L. 221 – 1 3 (failure to deliver a compliant contract). In application of Articles L. 522-1 and L. 522-6 of the Consumer Code, the National Investigation Service of the DGCCRF has decided to pronounce against the company UBISOFT EMEA SAS administrative sanctions of a total amount of € 180,000 for failure to comply with the following provisions of the Consumer Code: articles L. 221-5 (failure to provide certain pre-contractual information), L. 221-28 13 ° (lack of collection of the express agreement of the consumer prior to the execution of the supply of the digital content and absence of collection of the express waiver to his right of withdrawal), L. 221-18 (non-respect of the right of withdrawal) and L. 221-13 (failure to surrender of a compliant contract). A curious point to note is that companies can circumvent the 14-day refund policy, provided it is made explicitly clear at the point of purchase. This is the issue French authorities have with both companies and the result of the rather small fines. It will be interesting to see if other companies are quick to make changes to their storefronts. Changes for uPlay and Steam will likely see a slight change of wording for consumers when purchasing a game. This is not the first time that Valve has gone against consumer laws and lost. Earlier this year Valve lost an appeal against a $3 million fine against Australian authorities over a lack of refund option on Steam. This was a case brought against the company back in 2014, back when refunds were explicitly not offered. While the fines are paltry, it shows that countries are starting to, albeit slowly, fight back. In particular, those that are happy to fight for consumer rights. Of course not on par with the loot-box controversy that is plaguing the industry, every step made against the industry in respect to consumer rights is, in my opinion, a positive step.